State and federal law require all rocket engines to be independently tested before they may be sold in the United States. 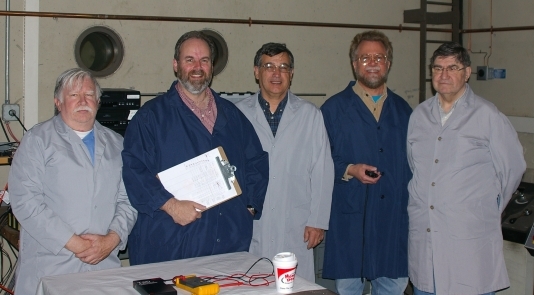 The NAR Standards and Testing Committee performs this quality assurance for every individual rocket engine type and classification available to general consumers at its East Coast testing facilities at the Massachusetts Institute of Technology and its West Coast testing facilities in Hillsboro, Oregon. The committee has a detailed Motor Testing Manual which documents the exact procedures used for the certification process. An article in Sport Rocketry magazine provides more information about the Committee and its equipment and operating procedures. S&T not only tests new engine offerings, but re-tests each approved engine type once in every five-year cycle to ensure repeatability and help identify creeping degradation in manufacturing or distribution practices. In addition, S&T collects and reduces data from motor malfunction reports sent in by consumers, using this data to trigger special testing of questionable engines and engine lots. Hobby rocket engines are tested according to criteria found in National Fire Protection Association (NFPA) Codes 1125. These include accurate total impulse and time delay; sensitivity to shock, temperature, and other environmental considerations; adequacy of safety instructions; and gross operational correctness. S&T’s computer-controlled engine testing fixtures can process motors as fast as they can be prepared for firing, and can measure variations in performance to hundreds of parts of a second. For each motor type certified, S&T publishes a data sheet containing various static and operational parameters of the motor and including a typical thrust curve. Data sheets can be downloaded from the list of NAR-tested motors and may also be ordered from NAR Technical Services (NARTS). NAR grants certification to two levels. The first, “NAR Certification,” denotes that a given motor satisfies the requirements of NFPA 1122 for model rocketry or NFPA 1127 for high power rockety. The second, “Contest Certification,” specifies that a certified model rocket motor is widely enough available to the general consumer to allow its fair use in NAR model rocket competition.